Spring apple blossoms herald not only a change of seasons in North Dakota, but the beginning of vibrant summer color! Western North Dakota can seem a bit stark at times, at the very least monochromatic, to the eyes of travelers who cling to the seemingly impersonal cookie-cutter interstate highway. Winter is all white. Spring is all green. Summer is all beige. But at the Secret Garden, there exists an oasis of color each summer, which most people miss. Vibrant colors begin to emerge in May at the Dickinson Research Extension Center gardens in Dickinson, North Dakota. The Secret Garden. It’s Not Secret. The expansive garden which is a secret treasure to so many is no secret at all. It’s the Dickinson Research Extension Center Garden, an entity of North Dakota State University Extension Center system, which encompasses 3,259 acres in Stark County. As stated in their website, Bedding plants, windbreak tree species and windbreak renovation evaluations, fruits, vegetables and hops (pictured at left) are among the many areas of horticultural research and demonstration being conducted at the Dickinson Research Extension Center. There are currently ten acres of certified (ICS) organic land at DREC. On a hot spring or summer day the shade of the towering pine trees provide a welcome oasis. The pine fragrance is distinctive, and adds to the feeling of relaxation from a busy world. Respite from the Busy World. Rest Here. Here, not far from the busy traffic of Interstate 94, are towering pines which provide shade and fragrance. They are distinctive from the surrounding suburban and campus landscape, and just a sampling of unique plantings at t DREC. The gardens beg one to sit down and stay awhile, and seating areas are found throughout the grounds, which also includes an extensive hiking trail system. Stop at the Visitor Center of the research center for more information. The office and visitor center area of DREC is a welcoming place with knowledgable and friendly staff. More Color To Come! Check Here Often. This visit to the Secret Garden was in May, before the real planting and growing season had begun in this area. Within a month, the plantings will expand and colors will begin to explode! The garden is best visited frequently to observe the process and progress of transforming the property into an Oasis of Color. There are extensive walk ways and trails at the Dickinson Research Extension Center. Mostly green in May, this pathway will be surrounded by colorful plantings at the peak of blooming season. The gardens are easy to find, not far south of Interstate 94 on the west end of Dickinson. The address is: 1133 State Avenue, Dickinson, North Dakota. Phone 701-483-2348 for added information. South of the DREC gardens you’ll find the campus of Dickinson State University, which includes the Theodore Roosevelt Center. There you’ll find information about the ‘badlands garden of respite’ for North Dakota’s favorite president at The ElkHorn Ranch. Click here to learn about our visit there. While you’re traveling the grasslands and badlands, don’t forget these photo tips. Click here. 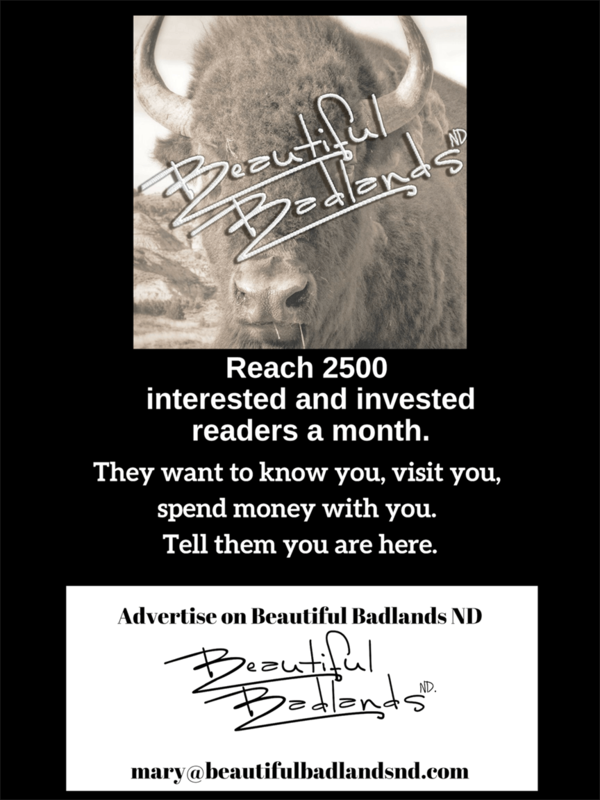 Subscribe to Beautiful Badlands ND in the upper right hand corner of this page.